Intersoft Solutions - Great News for Crosslight Developers! In light of Microsoft’s Build Event 2016 last week, Microsoft has officially announced partnership with Xamarin on March 2016, making Xamarin accessible to even more mobile developers across the world. What’s great about this partnership is that Xamarin’s price has been significantly reduced from $1000/developer/platform/year to absolutely FREE. This is a huge news for us and it effectively reduces Crosslight’s subscription price to a total of $999, from $2,999 (including Xamarin). A whopping 66.66% reduction in total cost. 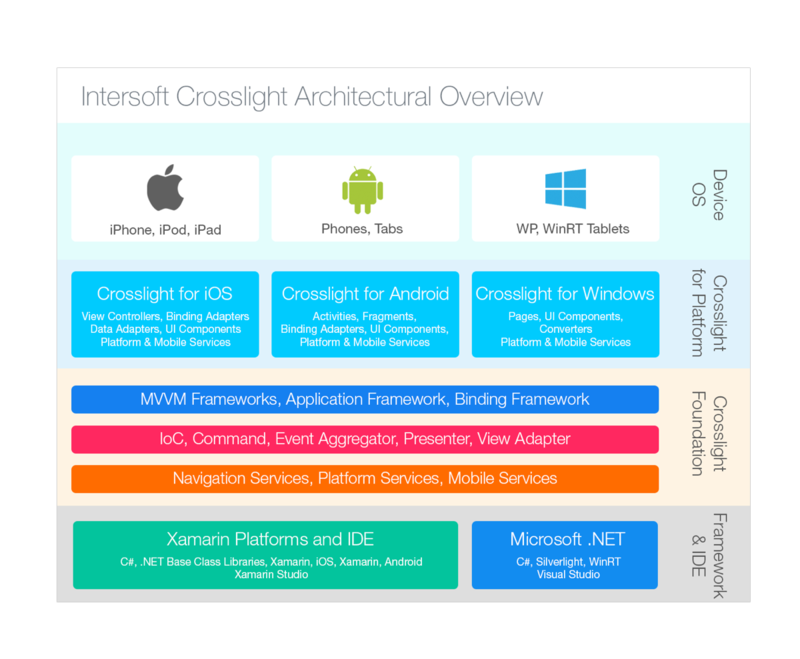 Our years of investing in Xamarin technologies have finally paid off and now you can easily build mobile apps with even faster than ever, thanks to Crosslight. Built on top of Xamarin’s technologies, Crosslight bridges the gaps between Xamarin.iOS and Xamarin.Android, effectively allowing 100% business logic code sharing with strong MVVM patterns. Display a button, then when clicked, show the number of taps. This is the default Xamarin’s cross-platform, single-view template. With Xamarin.iOS, the code is more event-based, handled in the ViewController level. // Release any cached data, images, etc that aren‘t in use. Which may lead to problems if you’re trying to centralize the business logic. Let’s compare this with Crosslight. With Crosslight, simply create a new ViewModel that will contain the centralized business logic, which will be bound to the View using BindingProvider. Here’s the ViewModel. As you can see, the View-level code is very minimal, since the code is very much centralized in the ViewModel and glued to the View using MVVM data binding pattern, which makes it very efficient to develop and maintain enterprise-scale apps. Should you wish to check out the full scource code, find it here. To learn how to create your first Crosslight app, follow this step-by-step tutorial here: http://developer.intersoftsolutions.com/display/crosslight/Walkthrough%3A+Creating+Your+First+Crosslight+App. Or, if you’re interested in a more full-fledged app that showcases Crosslight’s prowess, we’ve recently released the Crosslight Field Service sample, which was revamped from the Xamarin Field Service sample. I highly recommend you to read these two posts to learn more about the Crosslight Field Service sample: part 1 and part 2. Should you ready to purchase Crosslight, simply head over to our store. To celebrate this occassion, we offer a limited-time offer: You can get Crosslight now for $499 using this coupon code: LAUNCH2016 and start developing great mobile apps in no time!